I have a favor to ask of everyone who reads the Warrendale (Detroit) Blog. 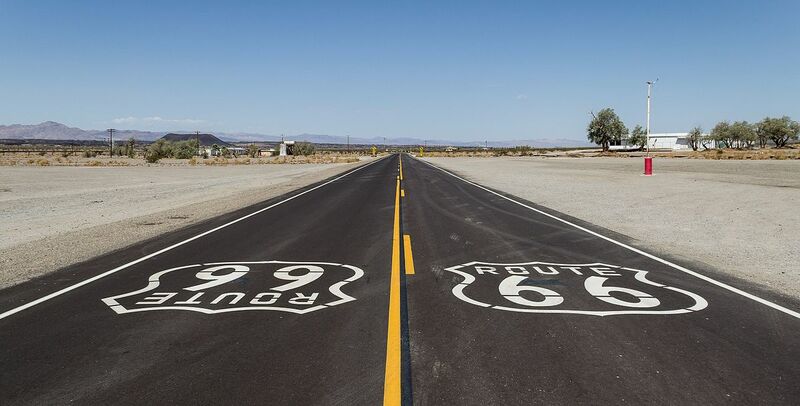 It has long been a dream of mine to travel Route 66 from beginning to end and now the National Trust for Historic Preservation has a program that will help me do just that. If I'm one of the people who are selected to be a part of it, I will spend a week traveling Route 66; posting to social media channels along the way. As part of the application process, I'm asked to provide the National Trust for Historic Preservation with links to my social media channels. I think it would look a lot better if I had more people following me and that's where you come in. I have three related social media channels. I would appreciate it if everyone reads this liked/followed me on one or more of them. The first channel is the Warrendale Detroit Blog page on Facebook, which is available here. Readers cans also find me on Twitter and Instagram as @fnemecek. I thank everyone for their help with this.